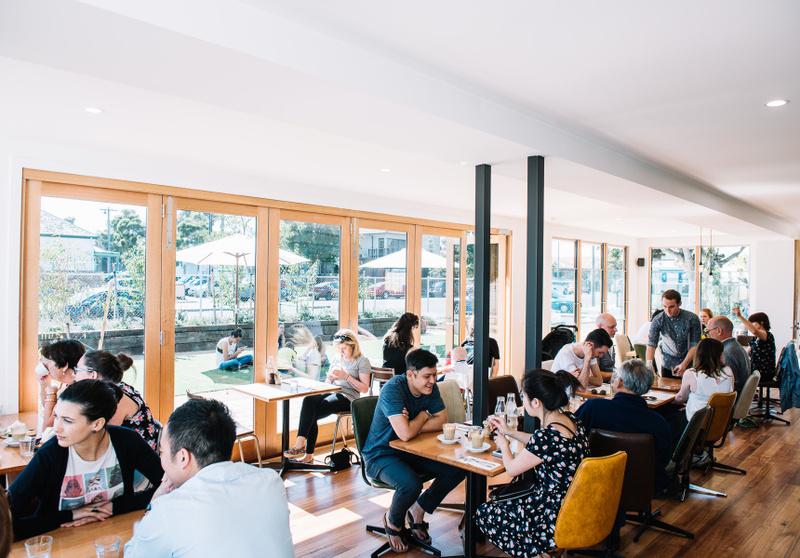 There’s a refreshing back-to-basics nature to Rudimentary: its no-fuss fundamentals let it focus on quality food in a beautifully designed space. What was once an unused, dilapidated corner block in Footscray is now an AstroTurf garden with a cafe niftily fashioned from three shipping containers. Owner Desmond Huynh wanted to create something sustainable and potentially movable. This design means Rudimentary can pack up and relocate. The build also breathes new life into existing materials. The light, open space features a glass wall that allows a view of the beautiful outdoor space filled with herbs and lavender beds. 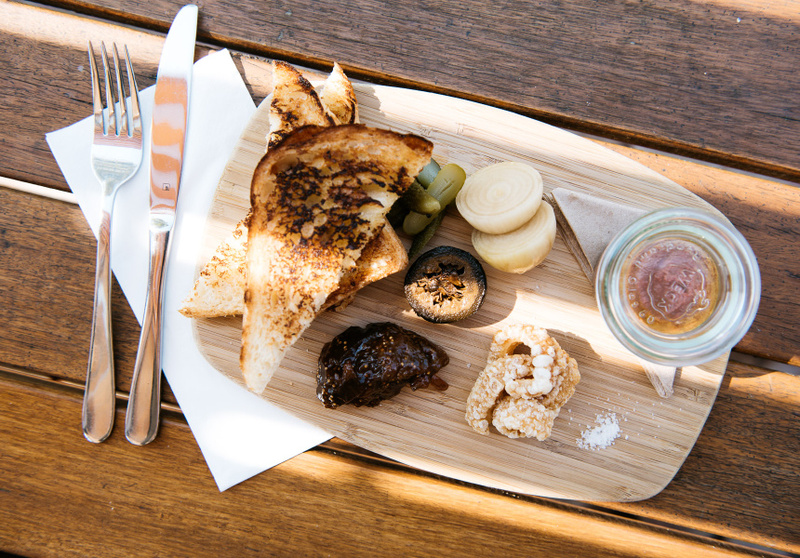 The menu – by chefs Shane Donelly and Thomas Ainslie, formerly of Duchess of Spotswood – is compact yet versatile. It incorporates pickled and fermented ingredients into dishes such as house-cured ocean trout with pickled cucumber, nashi and crème fraiche, and a sandwich of smoked brisket with kimchi and asiago. 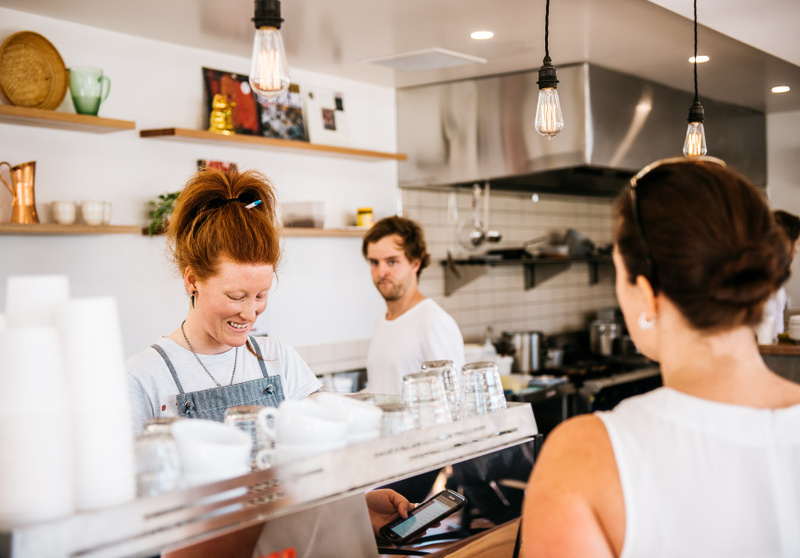 A La Marzocco churns out coffee from Small Batch made by head barista Emily Keats (formerly of Auction Rooms and Seven Seeds). There is rotating single origins and filter coffee and keep an eye out for her Vietnamese coffee, too. Rudimentary is now hiring. Find out more on Scout, Broadsheet's new employment website.